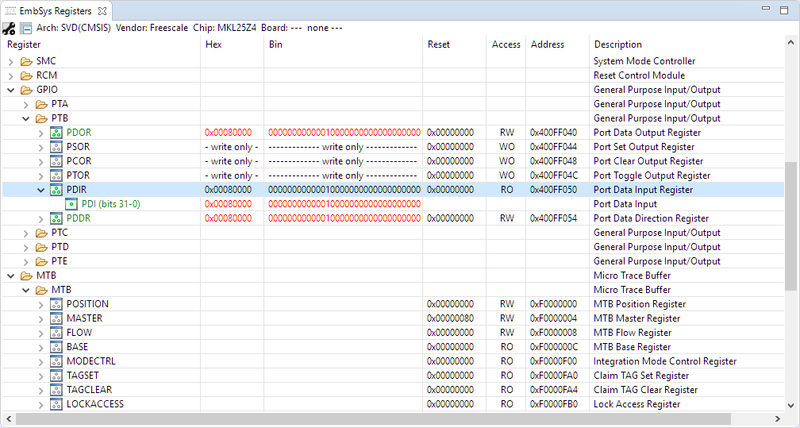 The ARM DWT (Data Watchpoint and Trace) is an optional feature of the ARM-Cortex-M, and many Cortex-M3, M4 and M7 devices have it implemented. With it comes a cycle counter which counts the cycles spent. 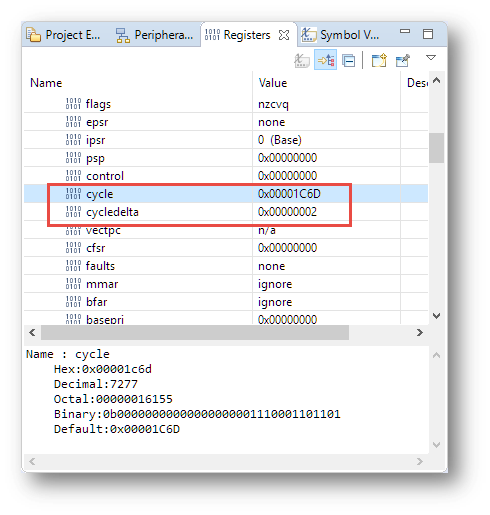 In Cycle Counting on ARM Cortex-M with DWT I described an approach how the application on the target can access the cycle counter. Good news! There is an updated version of the EmbSysRegView v0.2.6 available which works now for Eclipse Neon and Oxygen :-).